Birnam Interiors began in the UK more than 20 years ago and is still going strong in the KwaZulu-Natal Midlands. Sarah Inman draws on years of international experience, having worked having worked extensively on interiors in central London and the home counties, at times with the constraints of a tight budget. Amongst her projects was the Old Dairy at Highclere Castle, the setting of Downton Abbey. 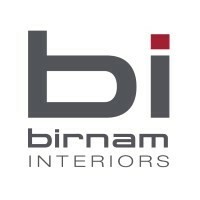 Birnam Interiors offer Interior Decor, Home Accessories, Blinds, Curtains, Upholstery and Consultations.